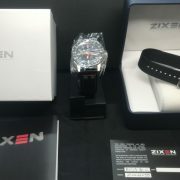 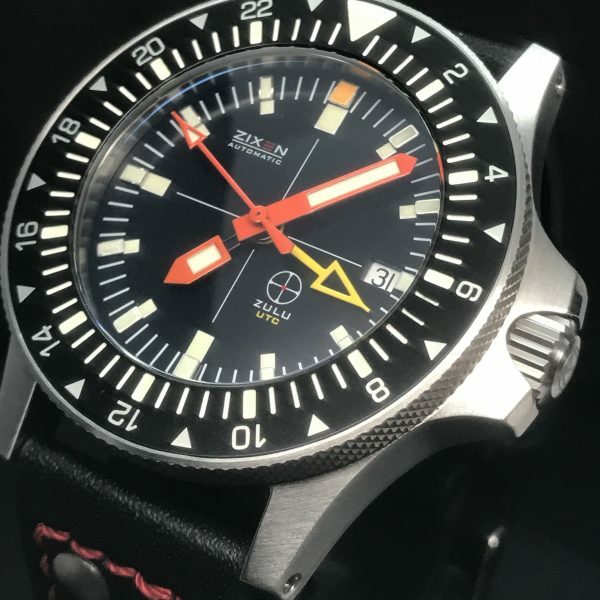 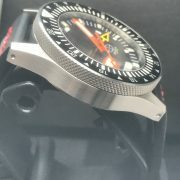 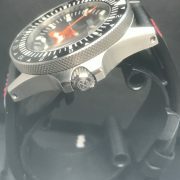 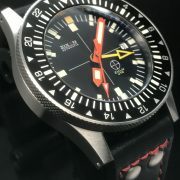 Here is a Brand New Zixen ZULU GMT Orange Hands Diver Special Tactical Edition Only 300 Pieces!…includes Nato Tactical strap and leather strap with tang buckle! 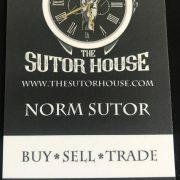 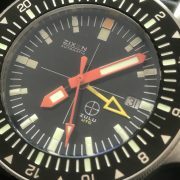 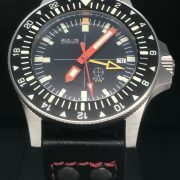 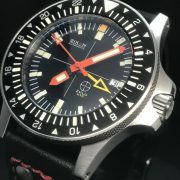 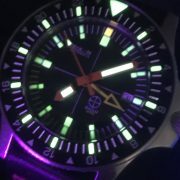 THIS IS THE LAST, BRAND NEW, ORANGE HANDS ZULU GMT EVER! 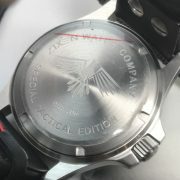 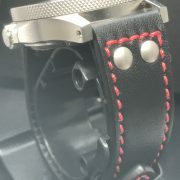 STRAP/BRACELET: – Brand New NATO Tactical Strap & Brand new black leather strap with raised red stitching & buckle.